You can now avoid panic present buying as our 2018 Christmas Collection has landed online and in salons! For beauty buffs, there's nothing truly as magical as having a gift set featuring all of your favourite styling essentials. 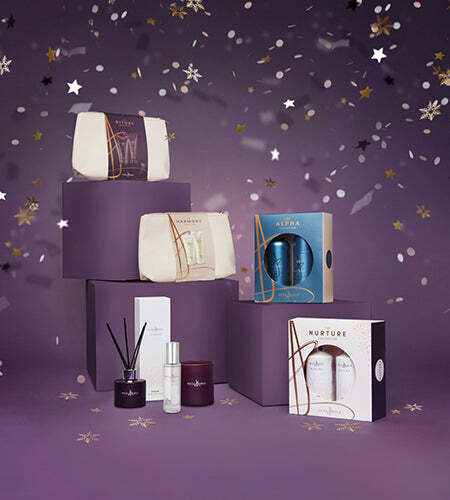 Which is why we have made sure that all of our Christmas gift sets contain your favourite Neal & Wolf product ranges. A Hair Awards 2018 Finalist, RITUAL is guaranteed to cleanse and nourish, leaving hair feeling glamorous and full of Christmas shine. As the holy grail or haircare, this gift set will guarantee a smile on the face of its lucky recipient. Pampering your loved ones has never been so easy! For that extra special gift, The HARMONY Collection is a bundle of luxurious and indulging haircare, that's a treat you can enjoy every day. Formulated to keep hair shiny and nourished, this intensive duo treatment has been designed to deliver an instant transformation. So, it's no surprise that HARMONY was also a finalist at the 2018 Hair Awards! For those men who are notoriously difficult to buy for, we have a fail-proof option, The ALPHA Collection! With an array of luxurious ingredients, but designed specifically for the modern gentleman, APLHA provides the perfect balance between indulgent haircare and the busy lifestyle. We don't only take care of your hair at Christmas, but your hands and body too! The NURTURE Duo collection promises to revitalise tired skin, softening your hands and body with its blend of rich and effective ingredients. The perfect indulgent gift to spoil the lucky person of your choice! To find the perfect gift this Christmas, shop our collection now, and let us know what you think on social by tagging @nealandwolf!